makes the press the ideal partner for all volume-reducing processes. So much capacity in such a compact form is unprecedented. The DIXI 60 S with a pressing force of 60 t achieves bale weights of up to 500 kg. Re-pressing of the bale in the disposal chain is unnecessary. This makes the pressed bales particularly interesting for the marketing of recyclable fractions. The pressing of foil and cardboard or other compressible materials makes these machines economical and reliable partners in the disposal chain. The DIXI 60 S model series is perfectly suited for the pressing of foil and cardboard. Through the microprocessor control unit with clearly arranged LCD display, the system can be quickly and easily changed-over from cardboard to foil. 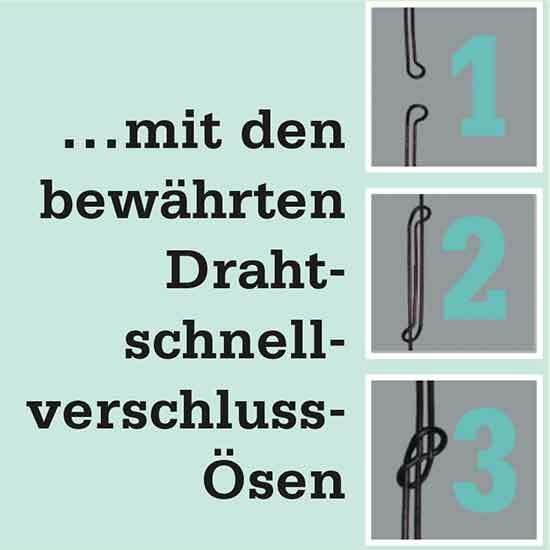 The special »Foil« setting prevents expansion of expansive materials, such as foil. 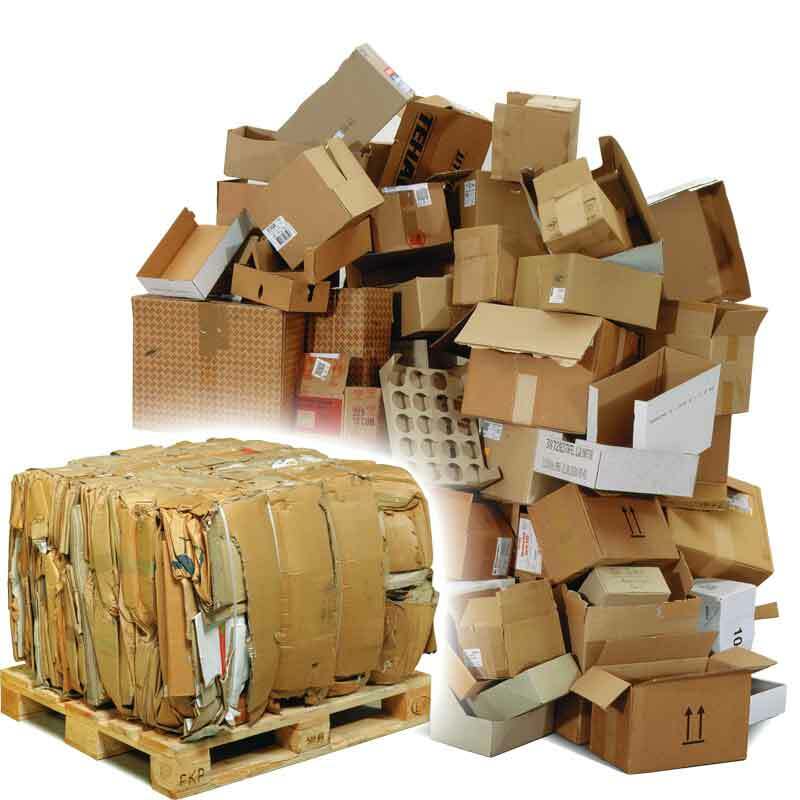 Through the large automatic opening, which at the end of the press cycle automatically reopens, even large pieces of cardboard can be easily introduced into the bale presses. 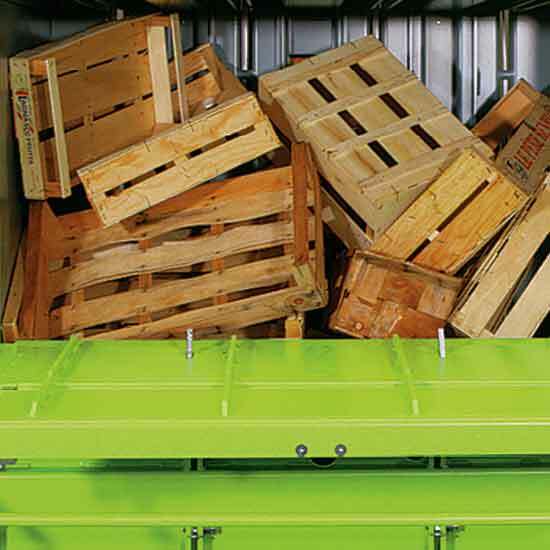 The start automation when closing the filling flap facilitates operation of the DIXI 60 S. The hydraulic bale ejector also provides the necessary convenience when ejecting a finished bale. 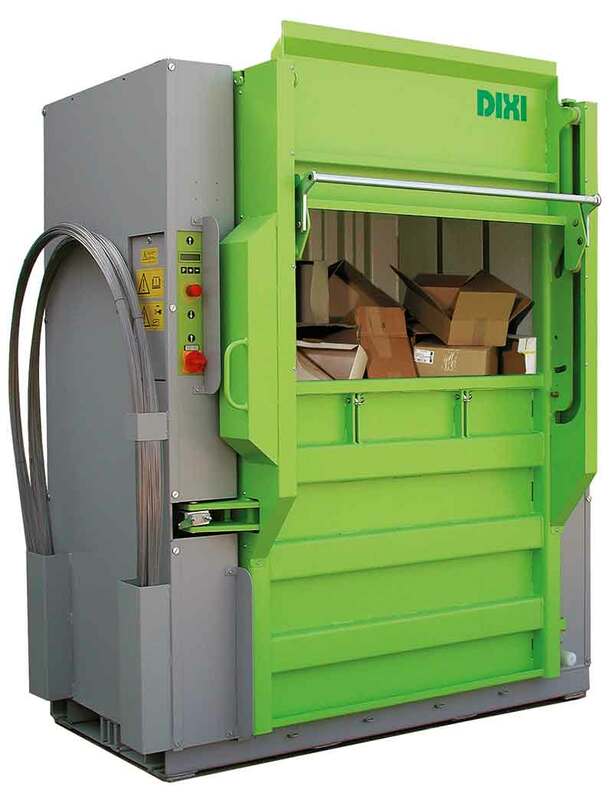 The DIXI 60 S comes with a hydraulic door opener as standard equipment. This offers great advantages, when pressing material with a particularly strong tendency to expand, such as foil; the door is prevented from springing open. The DIXI 60 S model series with its minimal height of 2.17 m and a pressing force of 60 t makes the press the ideal partner for all volume-reducing processes. So much capacity in such a compact form is unprecedented. The DIXI 60 S with a pressing force of 60 t achieves bale weights of up to 500 kg. Re-pressing of the bale in the disposal chain is unnecessary. This makes the pressed bales particularly interesting for the marketing of recyclable fractions. The pressing of foil and cardboard or other compressible materials makes these machines economical and reliable partners in the disposal chain. The DIXI 60 S model series is perfectly suited for the pressing of foil and cardboard. Through the microprocessor control unit with clearly arranged LCD display, the system can be quickly and easily changed-over from cardboard to foil. The special »Foil« setting prevents expansion of expansive materials, such as foil. 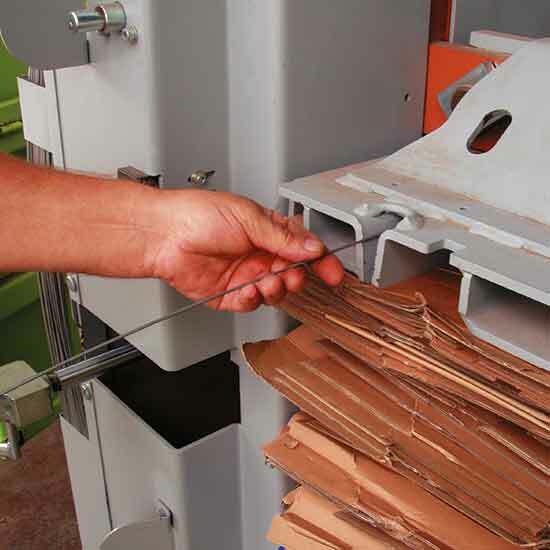 Through the large automatic opening, which at the end of the press cycle automatically reopens, even large pieces of cardboard can be easily introduced into the bale presses. 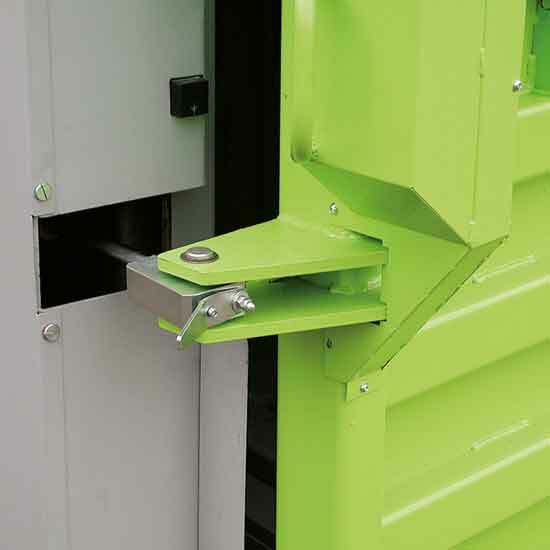 The start automation when closing the filling flap facilitates operation of the DIXI 60 S. The hydraulic bale ejector also provides the necessary convenience when ejecting a finished bale. 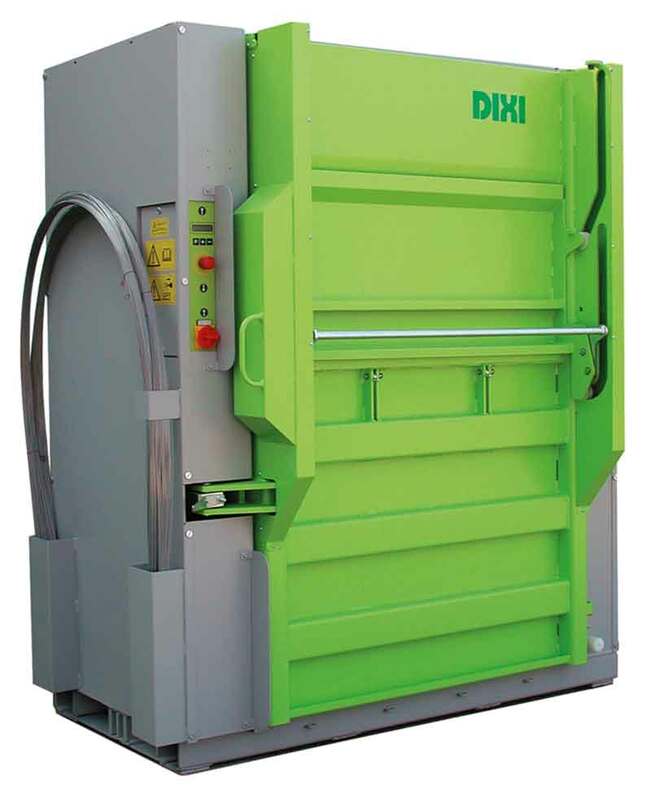 The DIXI 60 S comes with a hydraulic door opener as standard equipment. This offers great advantages, when pressing material with a particularly strong tendency to expand, such as foil; the door is prevented from springing open. 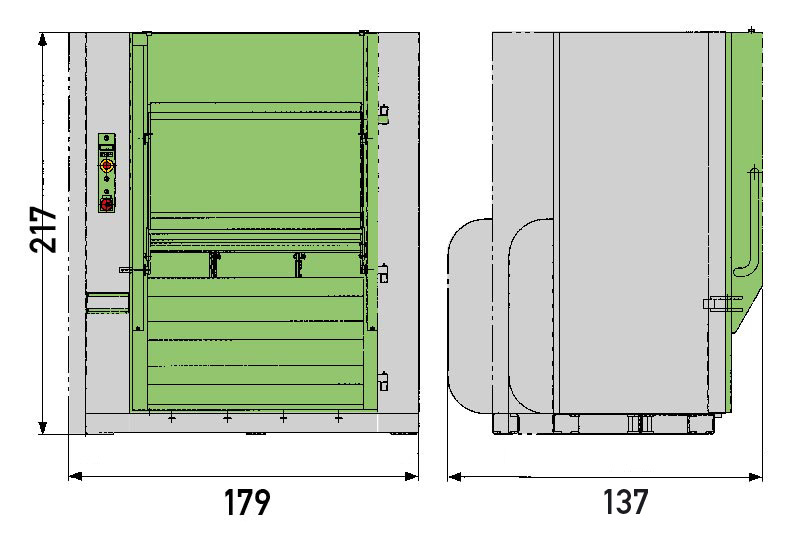 Minimal install height of only 217 cm – no installation effort for set-up on site. Easy filling through automatic opening of the filling flap. A pressure change-over from »paper materials« to »foil material« can be entered.